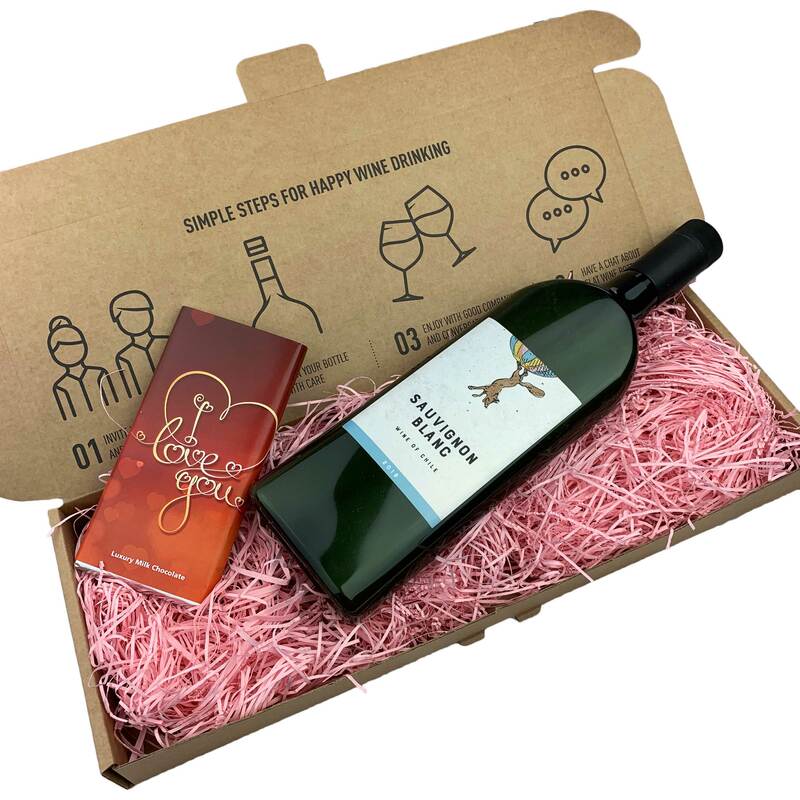 Mothers Day Chilean Sauvignon Blanc and Love you Chocolates Letterbox Wine gift is very clever. Have you ever imagined a full size 75cl bottle of wine fitting through your letterbox? No - well now it does. One of the best things is that the bottle is made of 100% recycled PET and everything you receive is then fully recyclable. What about the wine? This Sauvignon Blanc has a bright colour with green tones. Citrus aroma with characteristics of pear and a balanced acidity with strong feeling of freshness. Best served chilled, it’s great with seafood and white meat pairings.